Whether it's tax evasion, fraud, transfer bribes or chicanery in the dressing room, Barry Fry has experienced it all as a player, manager and now club owner. He is ready to tell everything in his autobiography. 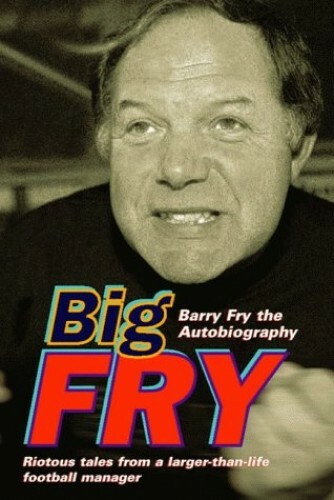 Barry Fry is one of the most colourful characters in English football. Currently at Peterborough, his journeyman career has taken him to Old Trafford, where as a player he was one of the original Busby Babes, through to football management at Barnet, Southend and Birmingham, among other clubs. Wherever he goes, "Bazza" has a knack of making the headlines. His days as a youth apprentice for Manchester United saw plenty of action on the pitch as he came under the tutelage of Matt Busby - but even more off it as the temptations of the dog tracks, the racecourses and the local nightclubs proved too great to resist. Unloaded to Bolton, he quickly gained the reputation of "the has-been that never was". Playing stints at Luton, Bedford and Stevenage failed to inspire a reckless Fry, and it wasn't long before injury forced him to hang up his boots. His first managerial role was at Dunstable, where Fry recalls with sharp humour how the chairman, once jailed for embezzlement, had suitcases full of currency in his office with hitmen protecting his prized possessions. He followed this with spells at Maidstone and Barnet - where he joined forces with the notorious Stan Flashman and proved his pedigree by gaining the club promotion into the League - and Southend, where he was responsible for bringing on a young Stan Collymore. It wasn't long before he was poached by Birmingham under owner and ex-pornographer David Sullevan and his glamorous sidekick, Karren Brady - about whom stories in the book will "blow people's minds". Among others who feature in Barry Fry's all-encompassing career in the game are George Graham, Bobby Charlton, Tommy Docherty, Ron Atkinson and Alex Ferguson. Whether it's tax evasion, fraud, transfer bribes or chicanery in the dressing room, Barry Fry has experienced it all as a player, manager and now club owner. He is ready to tell everything in his autobiography.